Everything and anyone involved in bicycle racing today. Packed with the latest news, tips, training guides and gear guides. Sponsored by the Lance Armstrong Foundation, the LiveStrong site offers health, diet and fitness instruction and tools to improve your health while you enjoy your ride. Not just for cyclists, many different sports and activities are covered in depth. BRBC is a volunteer, non-profit club, with over 300 members. BRBC organizes social events and bicycle rides for all levels and abilities. Rides are held every day of the week throughout the year. 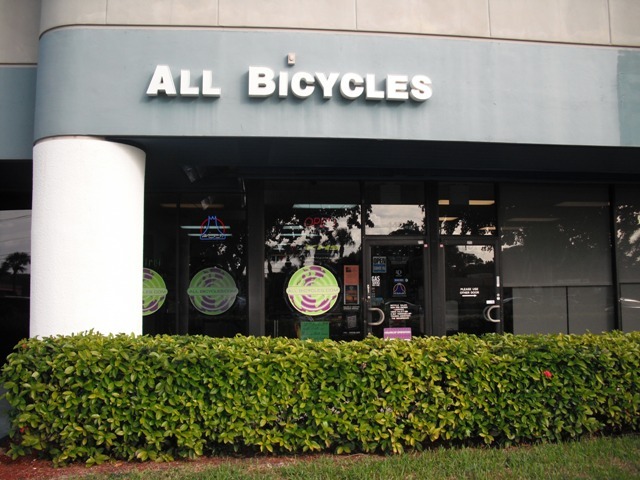 The Florida Bicycle Association seeks to inspire and support people and communities to enjoy greater freedom and well-being through bicycling. They envision a state where people of all ages see bicycling as an enjoyable, practical and safe activity and transportation option, and where all who lawfully use the roadways, motorists and bicyclists alike, respect and appreciate each other's use. The Office of Greenways & Trails (OGT), within the Florida Department of Environmental Protection (DEP), Division of Recreation & Parks, provides statewide leadership and coordination to establish, expand and promote Florida's Statewide System of Greenways and Trails.